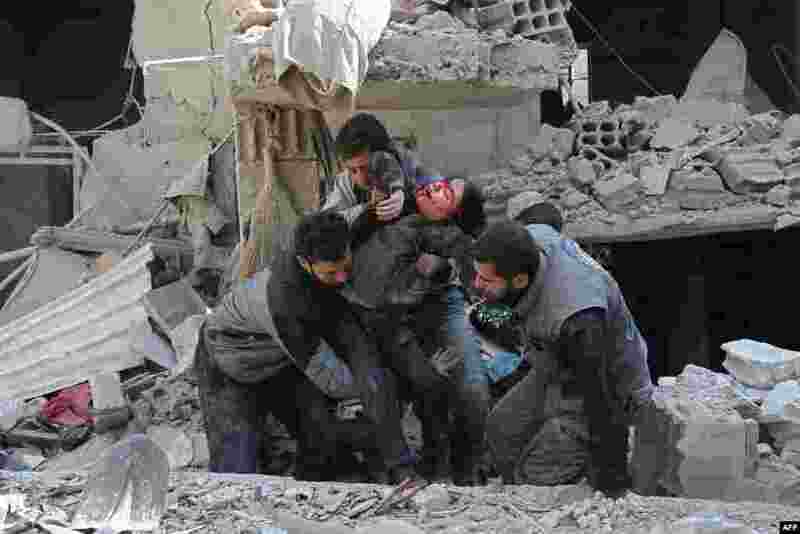 1 Syrians rescue a child following a reported government airstrike in the rebel-held town of Hamouria, in the besieged Eastern Ghouta region on the outskirts of the capital Damascus. 2 Detained Reuters journalist Kyaw Soe Oo hugs his daughter as he is escorted by police for a court hearing in Yangon, Myanmar. 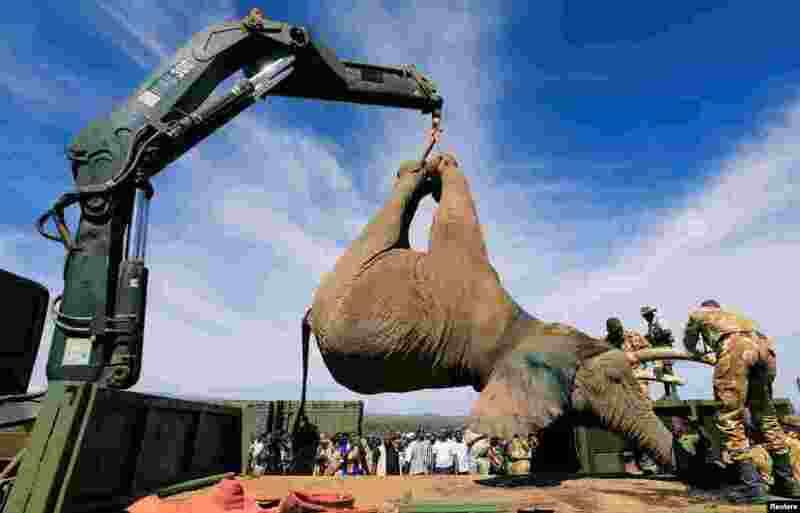 3 Kenya Wildlife Service rangers load a tranquilized elephant onto a truck during a translocation exercise to Ithumba Camp in Tsavo East National Park, in Solio Ranch in Nyeri County, Kenya. 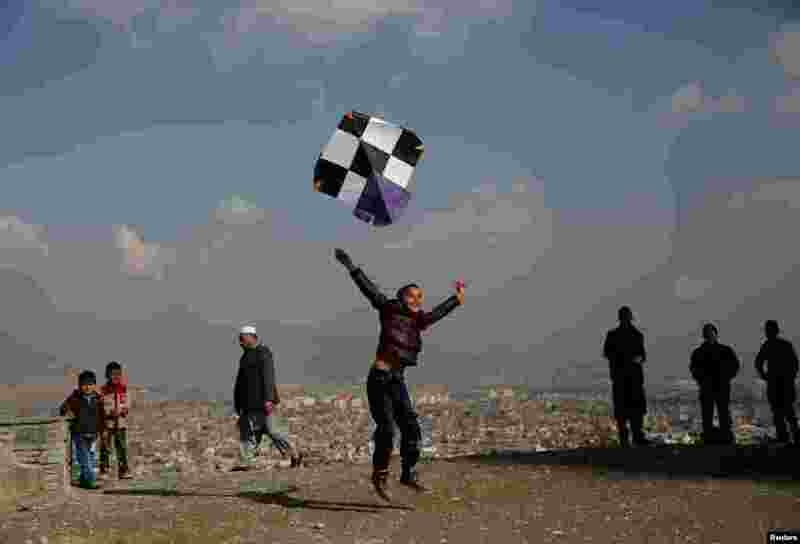 4 An Afghan boy launches a kite on top of a hill in Kabul.